LUKOIL is a world leader in the oil industry; in the exploration, production, refining and marketing of petroleum products. LUKOIL is the second largest company in Russia and are continuing to expand, improve and innovate year on year. LUKOIL have forged an excellent reputation worldwide by continuing to produce products of the highest quality. Due to LUKOIL's extensive investment into research and development, they are able to ensure premium performance engine oil which not only dramatically improves fuel efficiency, but also maximises and protects your vehicle's engine. Throughout their time, LUKOIL have won a number of prestigious awards due to their products going above and beyond consumer expectations. In 2015, LUKOIL were named Number 1 as a "loyalty brand" in the "Loyalty Brand. Green Planet" category. This award was primarily focussed on cost, quality and comprehension of consumer needs- this survey is regarded as the largest European Survey of consumer preferences. LUKOIL Lubricants produce a diverse product range that meets the operating requirements of global original equipment manufacturers. DID YOU KNOW? The difference between the maximum and minimum levels on your dipstick is at least 1/2 litre. But it does vary depending on the make of car. If in doubt, check the car's handbook, or online. 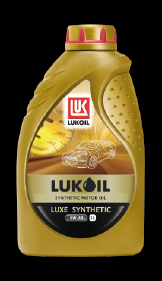 If you are looking for premium quality oil at an affordable price then look no further than LUKOIL. To find the correct LUKOIL product for your vehicle enter your car registration below. CLICK HERE for more detailed information on each oil type (including technical data and manufacturer approvals / recommendations).